Boerne Rain Gutter Pros are a fully insured, family-owned business that offers rain gutter installation, rain gutter repairs and rain gutter cleaning in Boerne, San Antonio, Fair Oaks Ranch, New Braunfels and the surrounding areas. 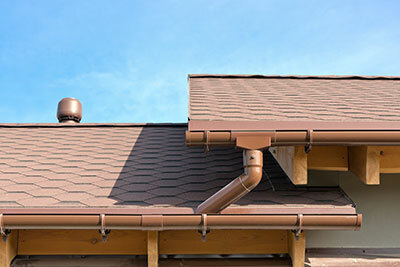 ​Too many home owners wait for the next bout of rain before realizing their rain gutters need work. Don't get caught by a downpour that threatens to cause damage to your home and yard. Instead, give us a call ahead of time and we'll come over and give you an honest estimate of where your gutters stand. 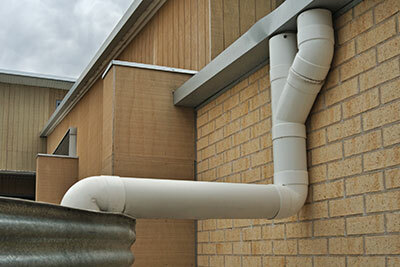 From small repairs on existing rain gutters to installing completely new ones, we do it all and we do it well. Because every structure needs quality gutters when rainfall comes around, we serve both residential and commercial clients. House owners, building landlords, small business owners, corporate heads, those working in government facilities – all are welcome to request a quote and see how well-prepared their structure is for rainy days. Getting quality roofing done on schedule isn't an easy thing these days. We understand this, which is why Boerne Rain Gutter Pros serve a wide clientele across several cities. Aside from Boerne, we also pay visits to San Antonio, New Braunfels, Canyon Lake, Fair Oaks Ranch and any surrounding areas – don't hesitate to reach out to us if you're in any of these locations. 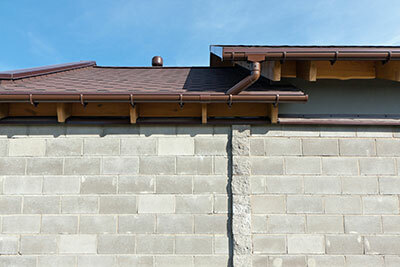 Seamless gutters are the home owner's favorite due to how well they cope against any volume of rain. A seamless gutter has very few seams and instead resembles one long line of metal. 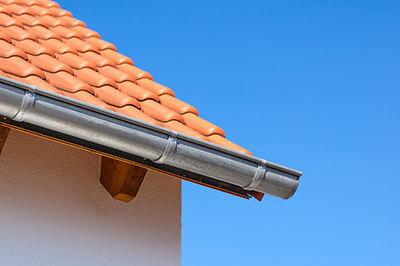 Seamless rain gutters are often made from aluminum, but other materials aren't uncommon. Due to the necessary amount of work and finesse, they can only be properly installed by an experienced professional. To know whether your home or office is fit for seamless gutters, we'll have to perform an inspection first. Seamless gutters are best installed on structures with traditional shapes, as well as smaller ones – the larger the structure, the more difficult the installation will be. Other than a lot of rain, seamless gutters are also recommended in zones that come under a lot of rain. We also advise home and building owners to opt for our thickest continuous gutters for maximum protection and durability. While seamless gutters are harder to install correctly than those connected by seams, we're still glad to take on the task whenever circumstance permits it. With seamless rain gutters, you'll have peace of mind knowing that your home has some of the best rain protection out there. Seamless gutters are particularly sought-after because they require less maintenance, and also because of their ability to handle large amounts of rain over lengthy periods. Aluminum is the metal we most often work with, and with good reason – it offers a lot of quality for the price. Aluminum rain gutters won't rust like those made from certain other materials, which is a big plus for those looking for long-lasting roof protection. They're not the cheapest gutters around, but they're close – very few home owners can't afford a solid aluminum gutter system. Our clients tend to ask us for aluminum gutters when looking to replace their current damaged ones, or if their lower-quality gutters (vinyl) aren't doing the job. We install and repair aluminum gutters of varying thickness, from sub-.027 ones designed for sunny areas with little rain to 0.32+ gutters meant to endure a lot of punishment from heavy rainfall, and hail. While aluminium gutters probably won't last for a lifetime, they can easily hold up for several decades before needing a replacement. Aside from the price and lack of rust, aluminium gutters are also the home owner's favorite because they can be painted and therefore don't have to deviate from the home's overall appearance. We are also ready to assist you with the semi-regular painting maintenance of aluminium gutters, which is necessary to preserve their enamel but is frequently neglected by home owners who don't have the time or knowledge for the task. Galvanized rain gutters are generally thought of as heavy-duty – they are installed in places where other gutters would falter under the weather conditions. Being made from galvanized steel, they are exceptionally tough and can hold their own against multiple harsh winters. In line with their durability, galvanized rain gutters are also immune to so-called thermal warping. 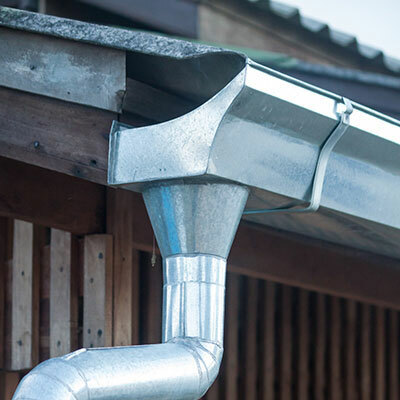 Even gutters that are considered to be made from quality materials can become warped in constant heat, or when environmental conditions change rapidly. If your area has very hot summers or experiences frequently-shifting weather, galvanized steel is a great choice to consider. 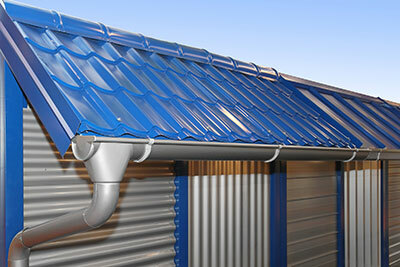 Galvanized rain gutters are less likely to get damaged by a ladder leaning against them. Galvanized rain gutters are easier to inspect for cracks and rust – any home owner can perform regular checks without fear of damaging them. Galvanized steel gutters are generally more resistant, but they also require more frequent examination to see whether the protective zinc layer guarding against rust has been compromised. This type of steel is also notably heavier than most other materials and therefore harder to install correctly, especially if you're going for seamless galvanized gutters – don't worry, though, as Boerne Rain Gutter Pros will have them up and running on your home in no time. If you're aiming for looks, not even painted aluminium gutters come close to the copper's unmistakeably beautiful shine. Because they are a bit on the pricey side, we most often work with copper rain gutters on larger or more expensive homes, as well as those with a specific exterior design. Aside from appearance, copper also boasts more longevity than most if not all other gutter materials – properly installed and maintained copper rain gutters can easily last longer than a person's lifetime, making them a great investment for family homes that are passed down through generations. 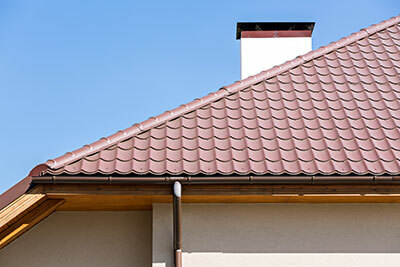 While appearance is the copper gutter's forte, it can also act as a downside, as the metal can sometimes adopt a greenish hue and lose some of its shine over time. This doesn't take away from the gutter's efficiency, but it's worth noting that the appearance is more difficult to restore because of the material's high cost. Copper gutters are somewhat similar to those made from galvanized steel in that both require an expert hand for installation and repairs, even moreso if you're aiming for seamless ones. Like with any material, we guarantee that our installation of copper rain gutters on your structure will be performed swiftly and in accordance with the highest standards of our profession. Home owners that are most concerned with aesthetics will have us install half-round gutters instead of regular K-style ones. While half-rounds have been around longer, K-style has been adopted as the standard due to its higher volume capacity, with half-round gutters becoming mostly an appearance choice. Because they lack depth in the absence of a K-shape, half-round gutters can't handle as much water and are therefore rarely optimal in areas with a lot of rainfall, as this can cause water to overflow and reduce the gutter's effectiveness. Despite this, half-round gutters can still prove more than sufficient in places with small or moderate amounts of rainfall. Some home owners also prefer half-round gutters over K-style ones as their shape makes them easier to clean. Most clients that choose copper as their gutter material also prefer half-round gutters over K-style ones due to their complementary appearance. Aside from copper, the half-rounders we work with can also be made from aluminium and steel, and are available in both seamed and continuous editions. Box gutters are no longer seen as frequently as they were in the past, having been replaced by either K-style or half-round ones on many structures. Still, box gutters serve their purpose – they provide protection in trickier places and are concealed as part of the roof. Clients that don't want any alterations done to the appearance of their roof will have us install box gutters and make them near-indiscernible from the rest of the roof, as opposed to the known 'hanging' appearance of K-stylers. Box rain gutters are also the ideal choice for small spaces between two surfaces of equal height, or one that is slightly above the other – their shape and volume capacity let them fit seamlessly just about anywhere. Because wood is sometimes prominent as a material when making box gutters, they are more susceptible to external factors than other gutter types, and require that the home owner regularly inspects the wood's integrity. Nonetheless, they are easy to clean and repair, and their concealed appearance makes them the only choice for home or building owners that are very particular about the look and feel of their structure. Wood is sometimes prominent as a material when making box gutters, however, they are more susceptible to external factors than other gutter types, and require that the home owner regularly inspects the wood's integrity. Nonetheless, they are easy to clean and repair, and their concealed appearance makes them the only choice for home or building owners that are very particular about the look and feel of their structure.